But in the interim, companies like General Motors—which on Monday unveiled major job cuts—face decidedly more mundane questions: How to respond to slowing US demand as higher interest rates bite into new car sales while more used vehicles are also entering the market? "It's going to be a smaller market," Cox Automotive economist Charlie Chesbrough said of GM and Ford, which is likewise expected to eliminate jobs and perhaps shutter factories. Both GM and Ford want to be major players in autonomous driving and other newer technologies, an objective that will demand billions of dollars in new investment and could ultimately lead to more industry consolidation, analysts say. "The pie is starting to shrink a little bit, or at least that's their view and they're trying to get themselves right-sized before things get much worse," Chesbrough said. Cox Automotive projects new US car sales will slow to 16.6 million units in 2019 and 16.5 million units in 2020, a drop below the 17.0 million level that sales are expected to again eclipse in 2018. The forecast includes the effect of higher interest rates and the drag from a trove of leased cars manufactured during the boom period. But it does not assume an all-out trade war, which would further dent sales, Chesbrough said. On Wednesday, US President Donald Trump on Twitter threatened new tariffs on car imports, amplifying his response against GM, whose job cuts affect the politically crucial states of Michigan and Ohio. Auto cycles typically end with a five or 10 percent drop, a relatively modest decline that automakers take as a signal "to get their production house in order," said Nicholas Colas, co-founder of DataTrek Research. "You know that once you're passed the peak, you have nowhere to go but down and that's what scares auto executives," said Colas, adding that auto sales could go as low as 13.5 million in a recession. Adding to the dilemma is uncertainty about the outlook for new car sales in the medium term given potential technological disruption. Will more drivers opt for ridesharing and against owning their own vehicle? How many consumers will opt for an electric car once more vehicles hit the market at lower price points? When will autonomous driving arrive in a meaningful way? "No one has any idea what the next cycle is going to look like," Colas said. 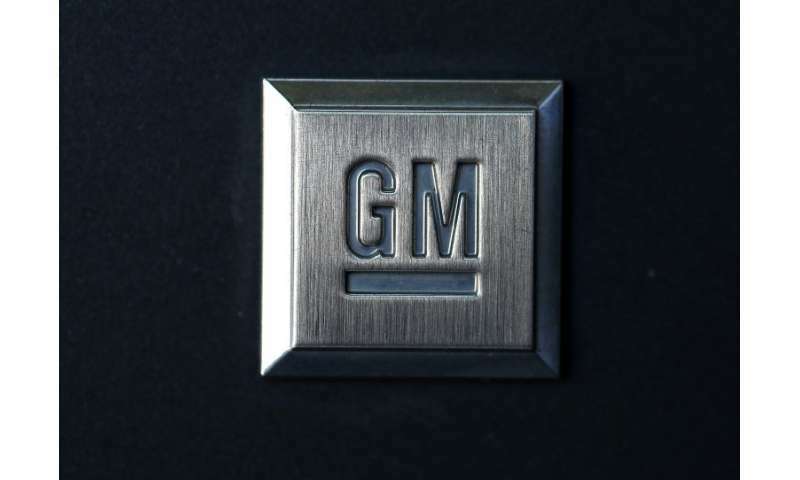 "In this case, GM not only has to plan for normal cyclicality, but GM clearly feels it needs to plan for the next five to 10 years." 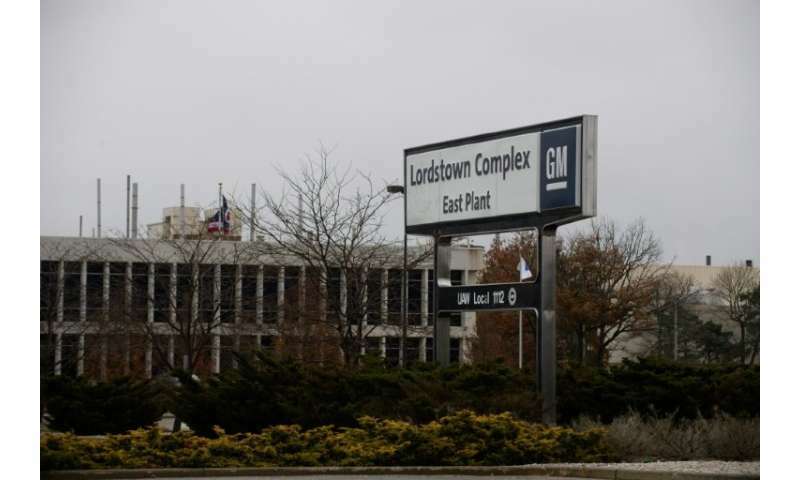 GM plans to shutter seven plants worldwide, including five in North America that build sedans that have not been selling well in the United States. The company did not release an estimate of the total potential employment hit but some news reports have put it at 14,000 workers or more. GM Chief Executive Mary Barra characterized the move, intended to save an estimated $6 billion, as part of an effort "to be highly agile, resilient and profitable, while giving us the flexibility to invest in the future." Many expect the GM downsizing to be followed by cuts at Ford, which has announced plans for an $11 billion restructuring. "We know there's more to come," said Michigan-based Chesbrough, alluding to Ford. On Monday, Ford said it expected the bulk of the costs connected to the reorganization to come outside of North America, but added that it expected a "headcount reduction" over time in global salaried staff. Ford is phasing out a series of cars such as the Focus, Fusion and Taurus, while steering funds to pickups, SUVs and other large models, as well as new technology investments. "These traditional sedans destroy value," Ford Chief Executive James Hackett told analysts last month, adding that the company would release details about the reorganization "as soon as we can." Both companies have announced ventures with other firms, with Ford unveiling strategic alliances with India's Mahindra and Germany's Volkswagen and the GM-led Cruise autonomous vehicle venture receiving $2.75 billion in funds from Honda as well as $2.25 billion from Japanese conglomerate Softbank. Building autonomous vehicles is expected to require billions of dollars in new investment. Analysts think the US auto giants could eventually be in the market for a deeper transaction with a non-US company, perhaps a full-scale merger. "The big issue is that this industry still employs a lot of people everywhere around the world and local governments don't like to see automakers shed jobs," Colas. "So it's going to have to be a very stressful time in the industry before they go to governments and say, 'Ok, we've got to do this.'"